For Day 6 of the Post Christmas reviews, I’m keeping that 10-inch Marvel thing going. After a more broad Marvel Universe look with Nick Fury, I’m heading over to the ’90s commercial juggernaut that was X-Men. Today’s focus is on the X-Men’s very first baddie, Magneto. 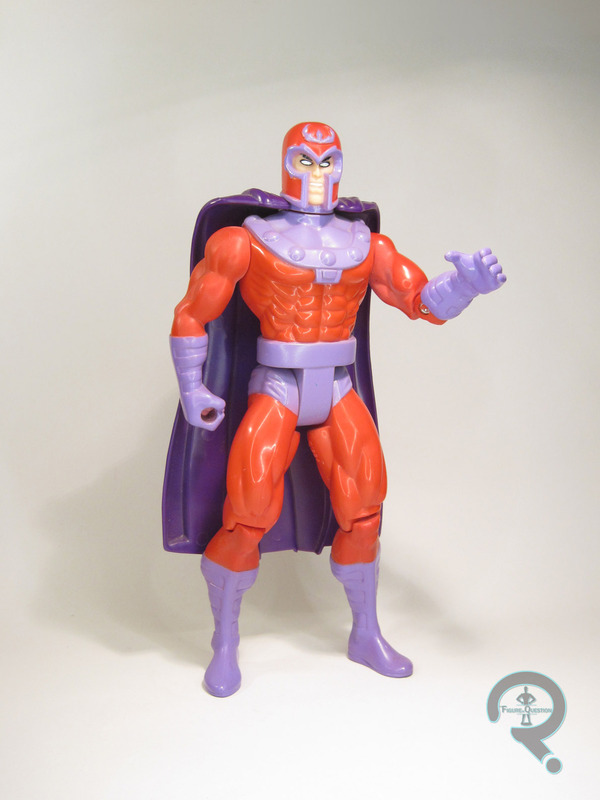 Magneto was released in the second “Deluxe Edition” series of the X-Men line, which preceded the larger Marvel Universe line by a couple of years. The figure stands 10 inches tall and has 8 points of articulation. For whatever reason, he doesn’t have a joint on his right elbow. Left one’s still there, and the smaller counterpart figure has both of them, but this guy doesn’t. I have no clue why, and I don’t know if anyone really does, but there it is. 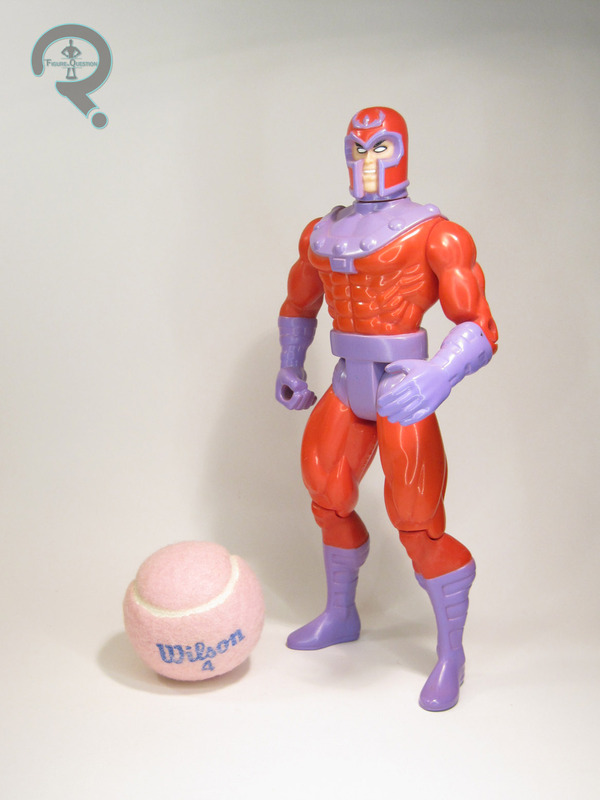 The figure is patterned on the Magneto II figure from the 5-inch line, though, as with a number of these figures, the larger version allows for a much better formed sculpt. In particular, he has less of the odd pin-headed nature that the smaller figure possessed, which makes the figure much more appealing. The arms are still a touch stubby, but that’s a minor complaint. Overall, though, it’s a really strong classic Magneto sculpt, unmarred by the action features that sort of held back the smaller figure. Even his paintwork is a fair bit better. The colors are brighter, the application is cleaner, and the use of molded flesh tone instead of painted makes him look far more lifelike. Magneto was packed with a blaster pistol, because that was just how you did with these figures in the ’90s. Hey, at least it wasn’t a wooden gun, right? That would just break his mind right in two. Magneto never got a reissue in any of the later lines, unlike a lot of the others, and as one of the more prominent characters released, he never really hung around all that much. As such, I don’t believe I ever saw one in person. Like Fury, this figure was a stocking stuffer from my parents. I actually really like him, and I think he’s one of the line’s nicest offerings. Its kind of a shame he didn’t get any reissues. For my fifth day of Post-Christmas reviews, I’m returning to a very comfortable ground, and looking back at one of my earliest collecting sources: Toy Biz’s run with the Marvel license. 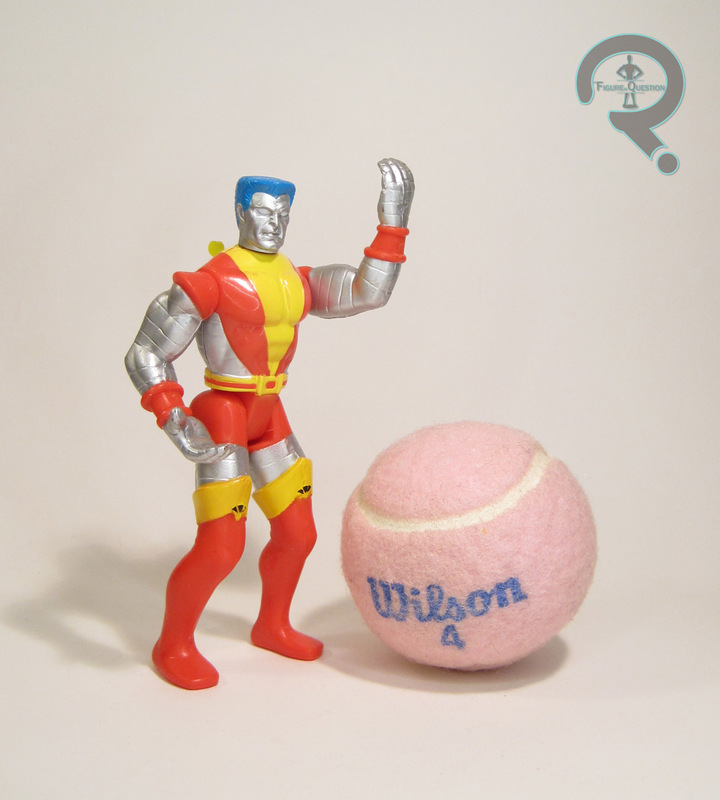 While their 5-inch line was the real star of the ‘90s, running in tandem with it was a line of double-sized figures which proved pretty popular with the younger audience. And in the ‘90s, the “younger audience” definitely included me. Through creative parts re-use, Toy Biz racked up quite an impressive roster for the scale, and today I’m looking at Nick Fury, Agent of SHIELD! 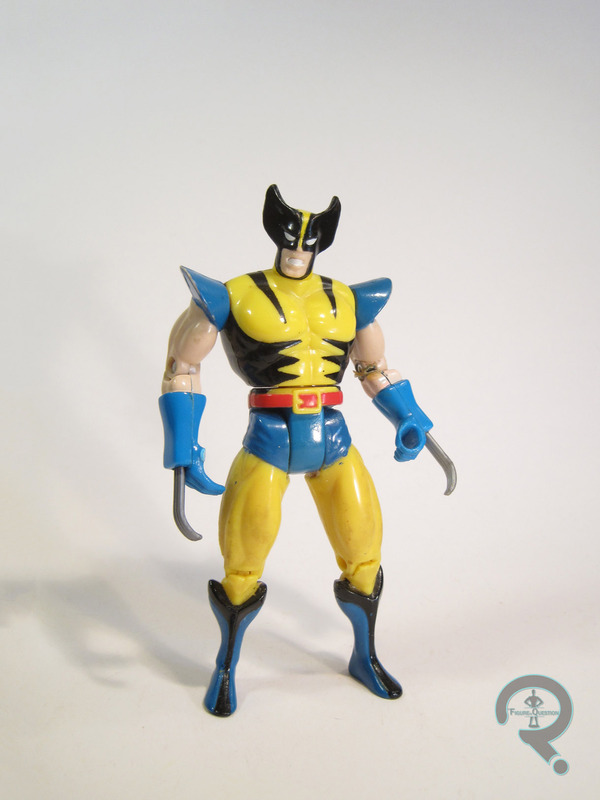 Nick was one of the larger scale Marvel Universe line’s 1998 offerings, hitting in an assortment that contained the Union Jack and a fairly standard Wolverine variant mentioned in the figure’s bio up there. I’m always quite amused by this line’s way of creating a playable story from the seemingly off the wall character choices. This one is admittedly one the most plausible of the ones I’ve found. This figure stands 10 inches tall and he has 9 points of articulation. 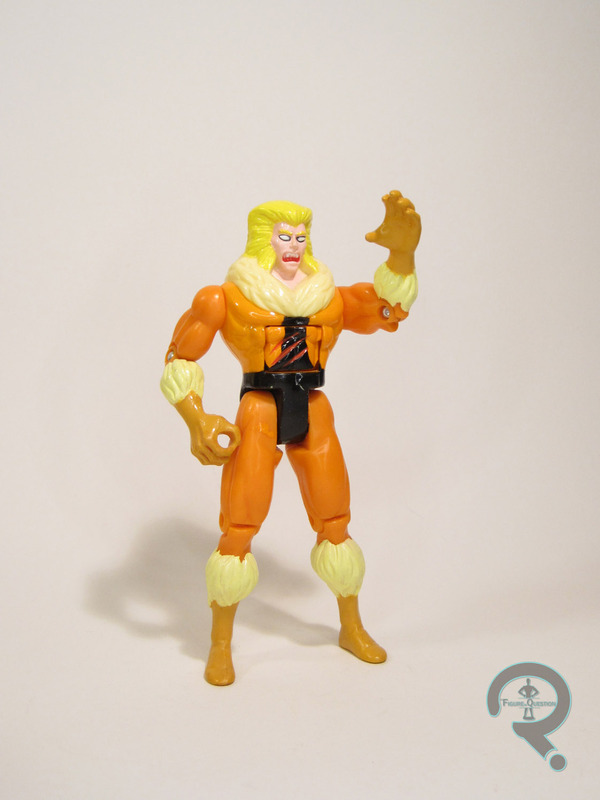 While Nick had a 5-inch figure with its own unique sculpt, this figure was released after the 10-inch line was almost entirely in repaint territory, so that sculpt was never actually sized up. Instead, Nick is a repaint of the Spider-Man line’s Punisher. I looked the the 5-inch release of that sculpt a little while back. The designs of the two characters are similar enough that it’s really not much of a stretch I suppose. It’s a nice enough sculpt, especially for its time of release, so there are no complaints there. The larger version of the sculpt has the removable shoulder holster of the smaller figure permanently affixed, but this actually works out even better for Nick, since the shoulder piece is a pretty consistent element of his design. The main change is the addition of his eye-patch, with is a soft-goods piece that’s been glued in place over his eye. It’s a reasonable, cost effective way of handling the design change. Nick’s paint gives him a more SHIELD appropriate color scheme of blue and white. It ends up adding some details where there aren’t any on the sculpt, as well as overlooking some details that *are* on the sculpt, but that’s about par for the line. The coolest work is definitely on his hair, which is actually a black base with the brown dry brushed over, giving it a neat layered appearance. Pretty nifty! Nick was originally packed with a rather larger gun piece, which my figure lacks. Nick was a stocking stuffer from my parents, and what a stocking stuffer he was! Obviously, I didn’t have this guy growing up. In fact, I remember seeing him only one time as a kid, and not even at a regular retail store. The nature of the line by the time Nick hit was really one of get as many different figures out as you can and don’t look back, so there are a large number of them whose existence is really only known to the people who happened upon them for the window the figures were available. Nick was definitely one such figure. The Punisher mold’s a good fit for the character, and is perhaps an even better mold than his 5-inch figure had. While he’s certainly on the goofy side by today’s standards, Nick’s still a lot of fun. It’s once more that time of year; another Christmas day, a therefore another Christmas-y review! I’ve covered all sorts of different topics over the course of the last five Christmas reviews, from basic Christmas concepts (Santa and a Gingerbread Man), to classic holiday specials (Hermie from Rudolph and Charlie Brown from…well, A Charlie Brown Christmas), to one of my favorite Christmas movies (White Christmas). This year, I’m actually playing it a lot closer to the sorts of things I review on this site from day to day, and taking a look at Spider-Man and Mary Jane…albeit a slightly more festive take on the characters. 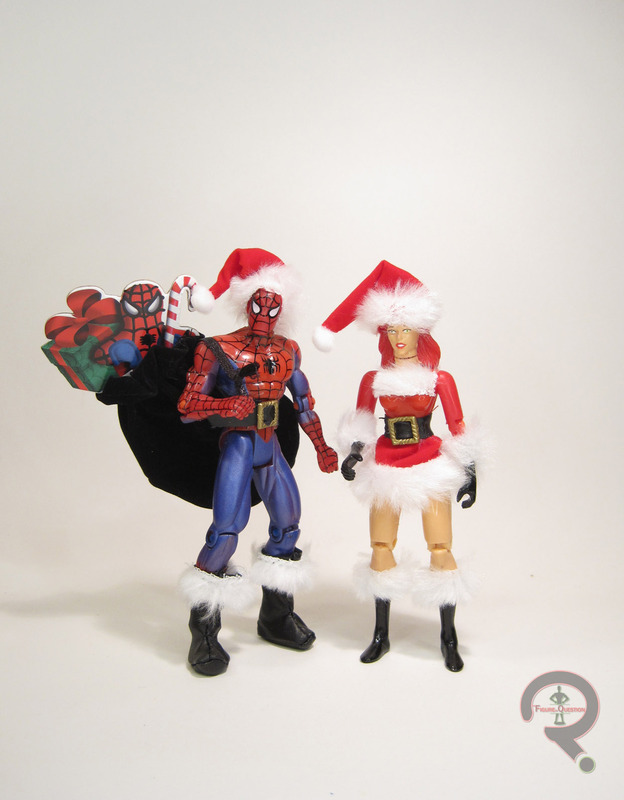 Spidey and MJ were released in 1999 as part of a seasonal “Holiday Special” pack, which was an extension of the Spider-Man: Animated Series line that was still running at the time, as well as a more festive take on the Famous Couple’s pairing of these two from the same year. It included the two figures, as well as a Christmas-themed magnet featuring the two of them. Headlining the pack is our main man Spider-Man. Spider-Man takes his usual look, and adds a Santa hat, belt, and boots. The figure stands 5 inches tall and has 11 points of articulation. He uses the Spidey-sculpt first introduced with Octo-Spider-Man, which would be one of Toy Biz’s favorite sculpts to re-use during their 5-inch days. It’s not the most posable take on the character, but it worked well enough. The new parts, with the exception of his belt buckle, are all cloth parts. It works best for the hat (which, it should be noted, is glued in place), and the belt is decent enough. The boots, however, are kind of odd, and make keeping him standing a little tricky. They’re removable if you so choose, though, so you have your options there. The paintwork is mostly standard, though it’s worth noting that he gets a metallic blue in place of the classic blue. Not entirely sure why the change was made; perhaps metallic blue is more festive? Spidey actually does get an accessory; it’s a cloth bag, with a little printed cardboard insert with some presents on it. It’s a little finicky to get him holding it, but it’s a decent addition. Both of Mary Jane’s figures during the Toy Biz run came in 1999, and they were built from the same base figure. I mean, I guess that’s pretty sensible, right? She stands 5 inches tall and has 9 points of articulation (though the neck is, as always with this mold, very restricted). 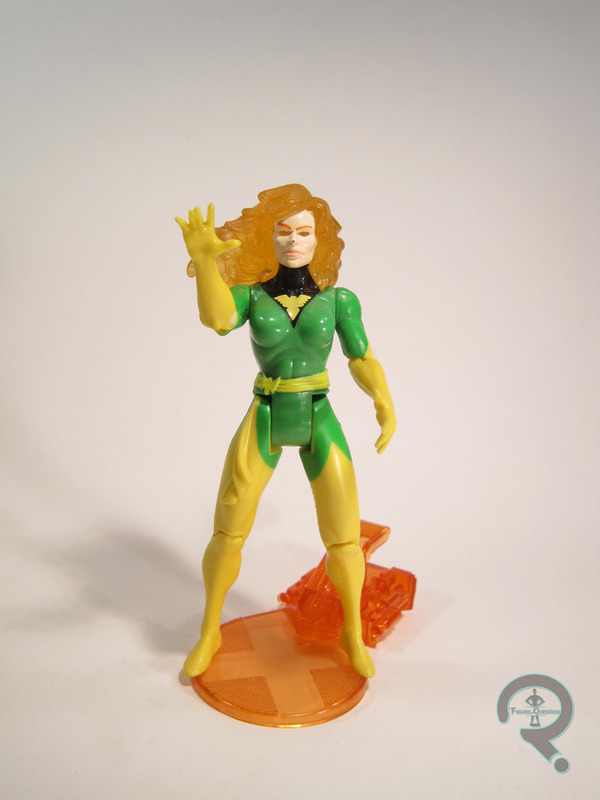 Like her Famous Couples release, this Mary Jane is a repainted Invisible Woman from the Fantastic Four line. It’s decent sculpt in its own right, though it’s slightly hindered for this release, by virtue of all the cloth and such she’s got glued to her. The hat’s okay, and the skirt’s workable, but the fake fur on the arms, legs, and especially the torso end up looking really goofy. She’s just not particularly playable as a figure, nor is she particularly appealing to look at. She’s definitely the weak link of the set. I remember seeing this set a good number of times at various stores back when it was new, but I never got around to actually buying one. As regular readers will have no doubt noticed, I’ve actually had to outsource a couple of my Christmas review items in recent years, but last year, right before the holiday, I actually came across this set at Gidget’s Gadgets, and while I couldn’t get it done last year, I was able to ear-mark it for this round. It’s goofy, and hokey, and totally without use outside of the holiday season, but the pair does have something of its own charm. As someone whose primary introduction to the X-Men came from their ’90s cartoon, I have an almost unhealthy appreciation for their resident Cajun sleazeball, one Remy LaBeau, aka Gambit. I am, of course, not at all alone in this, which has helped to keep him relatively high on the action figure count. Today, I’m jumping back to the beginning, and taking a look at his very first figure (more or less). 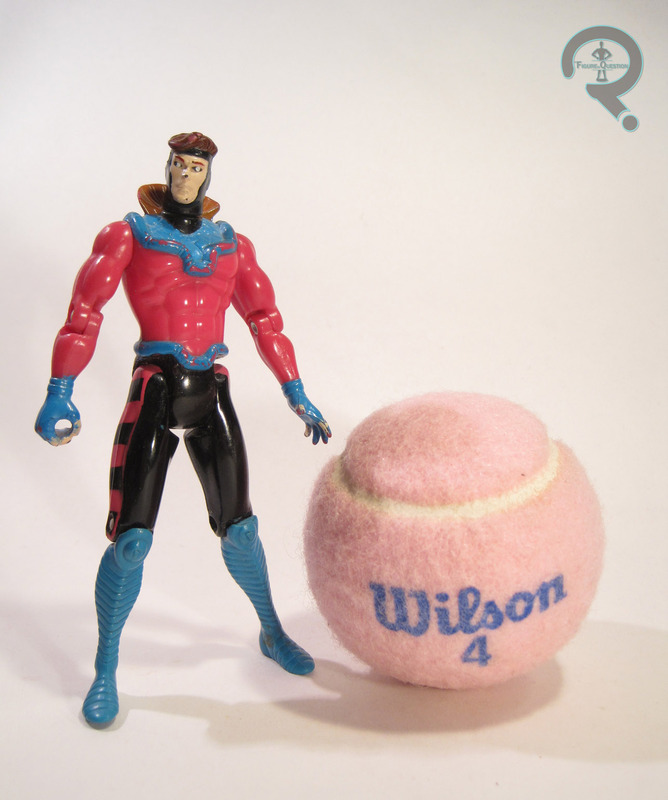 Gambit was initially released in the second series of Toy Biz’s X-Men line. 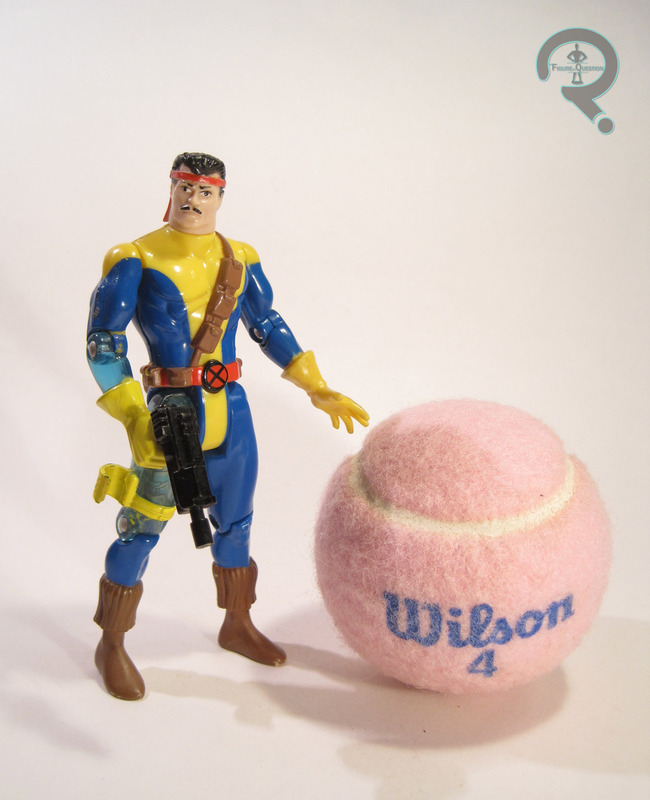 Following the success of the cartoon, he was subsequently re-released in the “Classics” assortment a few years later. The figure reviewed here is technically the later release, though the only actual difference between the two is the accessory selection. This figure stands 5 inches tall and he has 9 points of articulation. Gambit’s sculpt is fairly typical of an early Toy Biz figure, meaning he’s a little more rudimentary than later offerings would be. He’s slightly scrawny, and the details are a little softer. This is definitely a kinder, friendlier looking Gambit than you usually see. It’s not necessarily a bad thing, but it’s definitely different than other Gambits. His trench coat seems to have thrown Toy Biz for a bit of a loop, as well. Rather than sculpting it onto him, they opted for a removable piece…mostly, anyway. The bulk of the jacket is just a thin plastic get-up, not unlike the capes from the old Kenner Star Wars figures. It’s not terribly sturdy, and isn’t really the sort of thing we ever saw again from them. It looks alright, but certainly limits his playability when in place. What’s slightly odd is the decision to make the collar of this jacket a sculpted element, which is part of the figure’s torso. This means it’s always there, even when the coat is off of the figure. Why not just leave the collar as part of the coat? Who knows. Well, someone at Toy Biz probably knew, I guess. Gambit’s paintwork is alright. It’s pretty basic, and gets the general gist of the character down. There’s a lot of pink, which is really the most important thing when you get right down to it. It does get a handful of details wrong, though, such as keeping the sleeves of the shirt pink (rather than matching with the pants as they did in the comics), and the pink squares on the sides of his legs are a different pattern than usually seen. 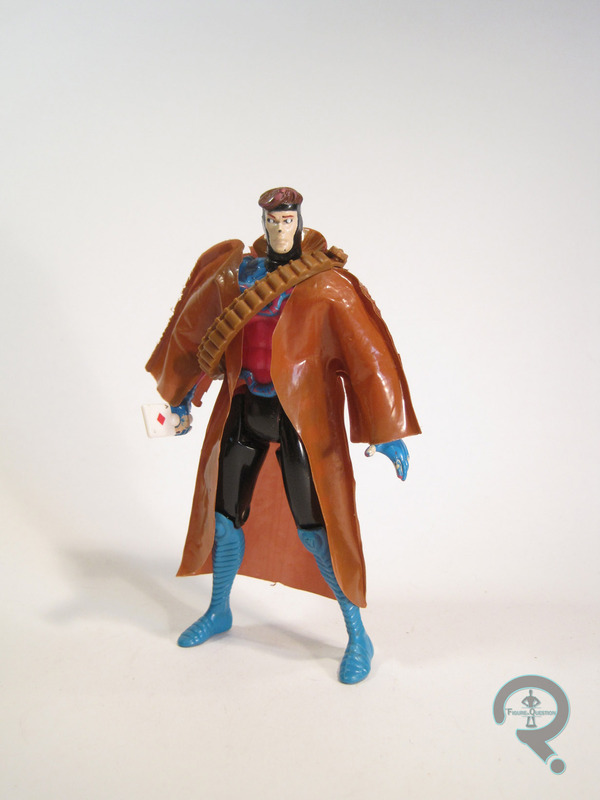 The original release of Gambit included his staff, while the re-release included the bandolier and knives (presumably meant to stand in for his playing cards) from Longshot. Gambit has an action feature, a kicking action, which is an interesting choice for the character. It’s also not implemented incredibly well, because it’s default state is actually with the leg extended, meaning the latch is in a constant state of strain when he’s in a basic standing pose. The end result is a figure that you will commonly find with his leg forever stuck at a 90 degree angle. Fortunately, this isn’t the case with my figure, but I’ve seen my fair share of figures that weren’t so lucky. I don’t recall exactly where I got Gambit, but I know I was with my parents, and it was very early into my collecting because it was before we moved into the house that they’ve been in since I was four. So, somewhere in late ’95? Anyway, despite how harsh I may have been on this figure in the actual review segment, it’s worth noting that this remains my very favorite Gambit figure to date, and just one of my favorite X-Men figures in general. 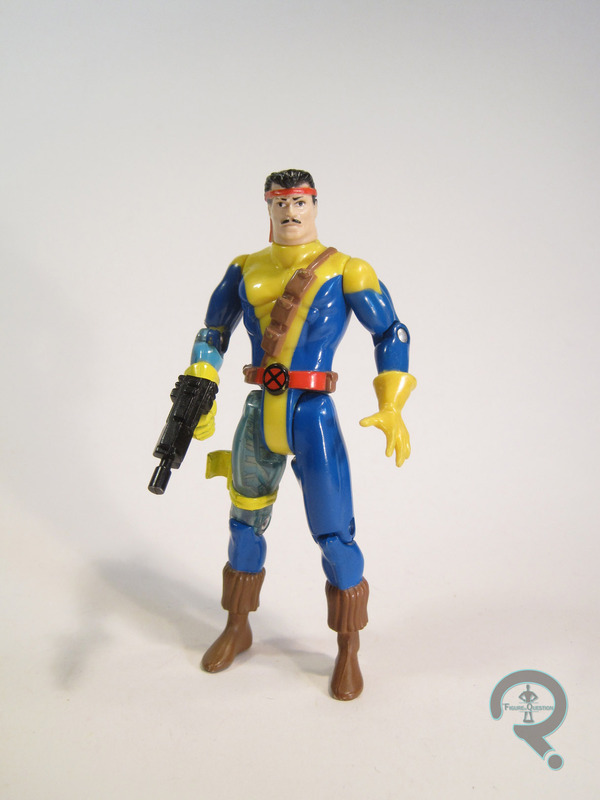 The ‘90s X-Men line was the most expansive selection of the characters ever put to plastic, offering up main, supporting, and minor characters from all throughout the franchise’s history. It definitely took a heavy lean towards the ‘90s, of course, and paramount to the line’s early days was getting collectors a complete line-up of the X-Men of the X-Men #1 era. Included amongst that line-up was relatively new addition (at the time) Forge! 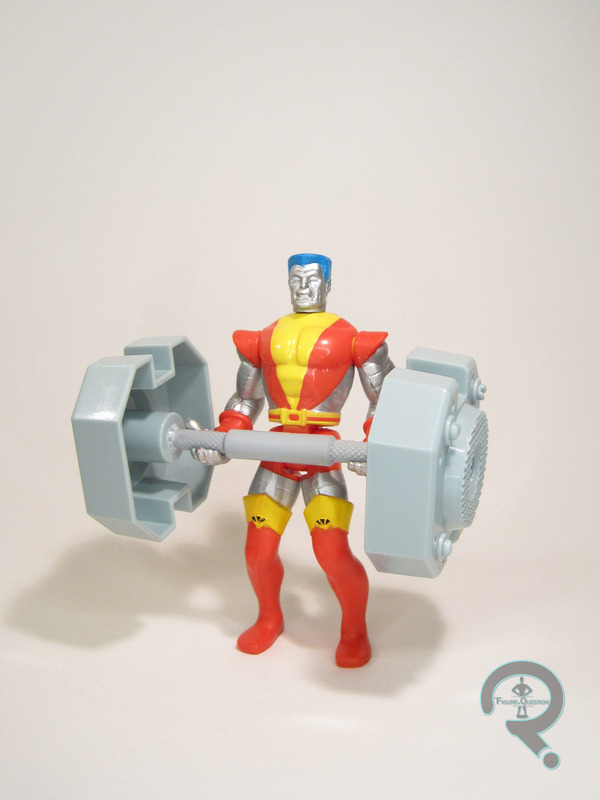 Forge was released in Series 2 of Toy Biz’s X-Men line, and was sporting his strike-team uniformed look, which is, by far, Forge’s most prominent design. Also, his current design at the time, so it made a lot of sense. Apart from some repaints of this same figure, this would be the only Forge figure we’d get from Toy Biz, so, hey, they better have made it count. The figure stands 5 inches tall and he has 9 points of articulation. Sculpt-wise, Forge is fairly typical of the early line figures. He’s definitely got a more refined sculpt than a lot of his Series 1 counterparts, but compared to later-run figures from Toy Biz, he’s definitely on the scrawny side. Though, for a character like Forge, the scrawnier nature isn’t too terrible, especially if your a fan of the tech-geek take on the character seen in the likes of X-Men: Evolution and Wolverine and the X-Men. Some of the details, especially the pouches and his boots, are far more simplistic than they’d be on more current offerings, but on the plus side, the details on the head sculpt are actually pretty sharp. Forge’s gun is molded into his hand. Ostensibly, it’s to aid with the figure’s quick-draw action feature, though I can’t say I understand why it had to actually be molded in place for that. It ends up rather restricting what you can do with the figure. The paintwork on Forge is about par for the course on this line. Application’s clean and fairly basic, and the colors are bright. I quite like the clear molded plastic for his artificial arm and leg; it’s a nice touch. 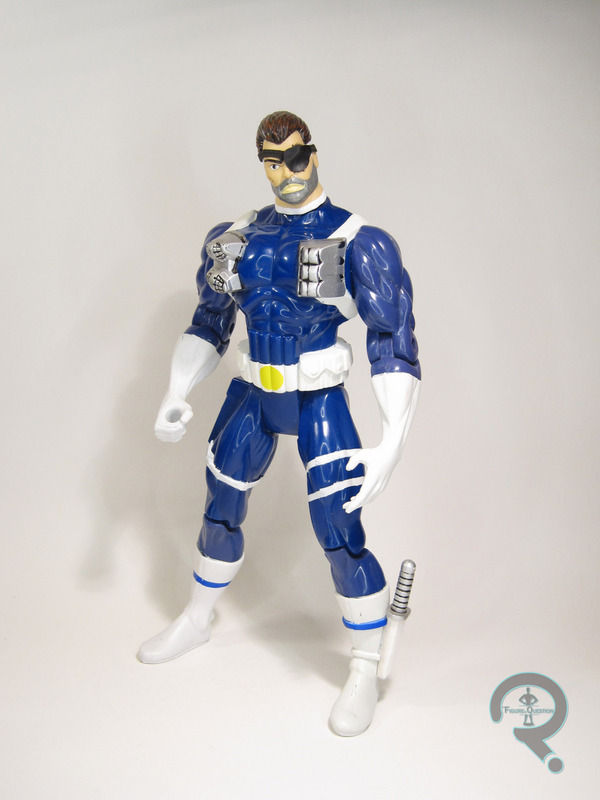 Like a number of the early Toy Biz figures, there were two minor paint variants on Forge, concerning the color of his holster. The initial figures were brown, but it was changed mid-production to yellow, which is the one seen here. Yay? I picked up Forge a few years back, during my first resurgence of 5-inch X-Men collecting, just after my freshmen year of college. I ended up finding him loose from Yesterday’s fun. Forge has never been a particular favorite of mine, and the figure doesn’t really do much to change that, being more or less middle of the road, but he’s certainly passable. 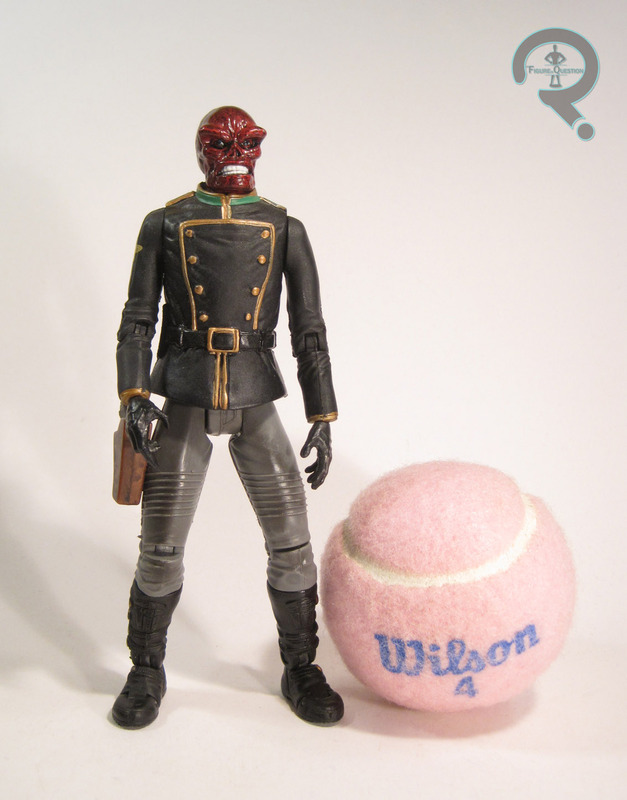 Back in 2014, when I was only 11 reviews in on Marvel Legends, I looked at the then-most-recent-version of Red Skull. Now, four and a half years and 270 Legends reviews later, I’m going all the way back to the beginning, and taking a look at Johan’s very first Legends treatment. 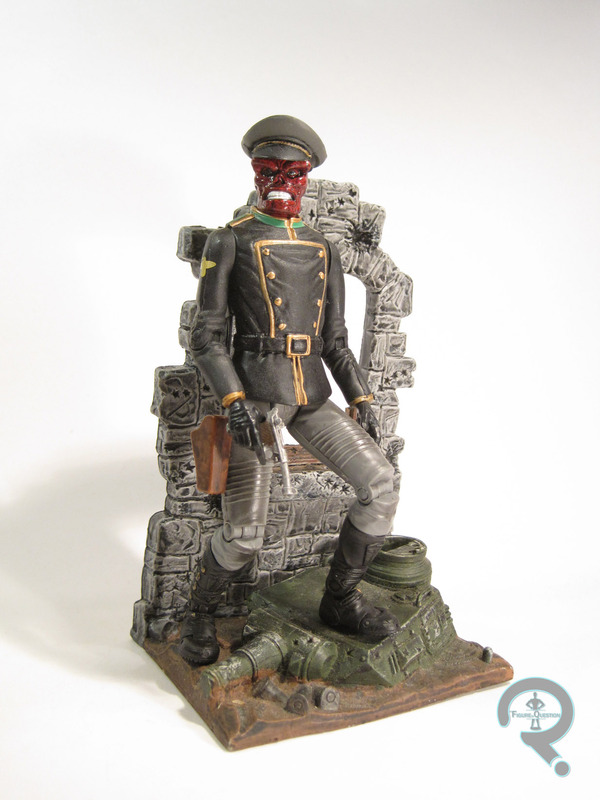 Red Skull was released in Series 5 of Toy Biz’s Marvel Legends. 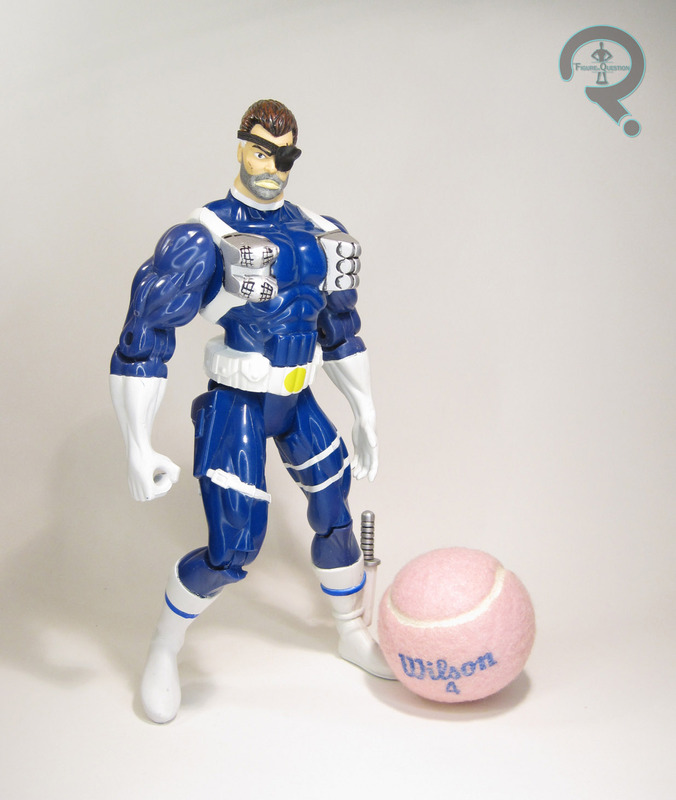 After three series of the “chase” figure being a variant of a main figure from the line-up, they’d introduced the concept of a secret, separate character chase figure with Series 4’s Goliath. But, while that figure was just a simple repaint of the Marvel Collector’s Editions Giant-Man, their next go, Red Skull, would be a brand-new character with a “new” sculpt. Why the quotes? I’ll get to that. As the “chase” figure, Red Skull wasn’t actually advertised at all on any of the packaging, making him an unknown offering to a great number of collectors, I’m sure. The figure stands 6 inches tall and has 18 points of articulation. Now, right off the bat, we run into the issue of articulation. Toy Biz Legends were regularly boasting upwards of 30 points of articulation, so the Skull being below 20 is definitely notable. What’s more, the distribution is really whacked out; 10 of those points are in the legs. Heck, he’s got toe joints, but no double joints on the knees and elbows, and even just cut joints on the shoulders and hips. Why such odd articulation choices? Re-used parts. Red Skull is made up of a combination of the upper half of the X-Men: Movie Series Professor X and the Legends Series 3 Daredevil. 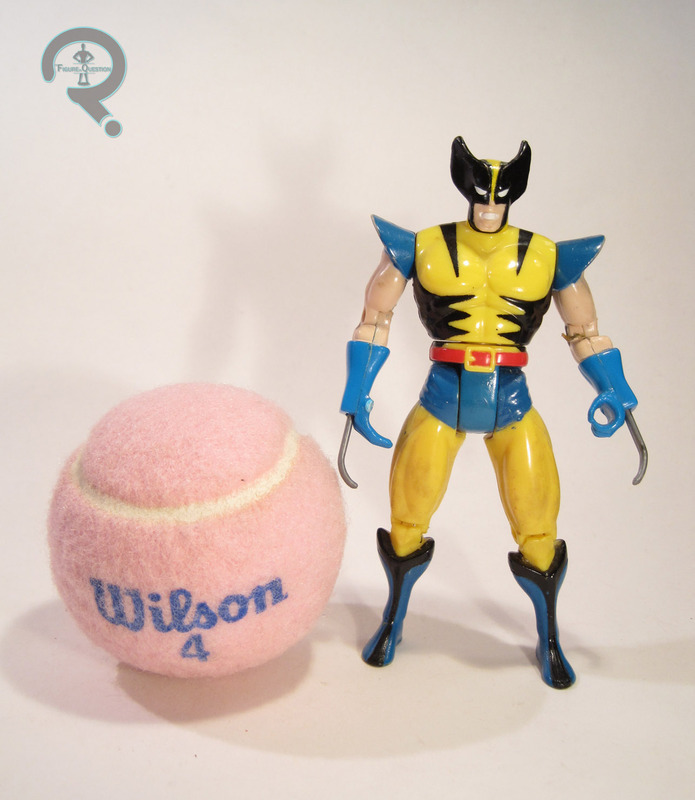 The Xavier body was three years old by this point, and from a line that was comparatively under-scaled. And while the DD parts might have been a genuine Legends release, even the original felt out of place at the time of his release, and the parts also feel out of place for the Skull. Red Skull also had a new head and hands, an add-on piece for his coat, and the Dr Doom holster stuck to his right leg, all in the name of separating him further from the figures that birthed him. Unfortunately, even the new pieces don’t quite seem at home. The head is too large for the body, and has no real neck to speak of. The jacket piece, conversely, seems to sit too high on his body, leaving a good portion of his awkwardly designed hip joints still exposed, further exaggerating the largeness of the head, and the mix-and-match nature of the body. On the plus side, the paint’s kind of decent, I guess. The head in particular makes out pretty well. Going for something other than a straight red seems to have worked out nicely. Red Skull was packed with his peak cap, a pistol (borrowed from Dr. Doom), and the same display stand that was included with Cap, but in a different color scheme. He also included a reprint of Captain America #16. Series 5 is around the time that the magic of Marvel Legends was starting to wear off for me, thanks in no small part to this crazy “chases” thing that they introduced. I was lucky with Red Skull. My dad was at a comic show, and happened to find him for a somewhat reasonable price from a dealer. Even new, he wasn’t great. 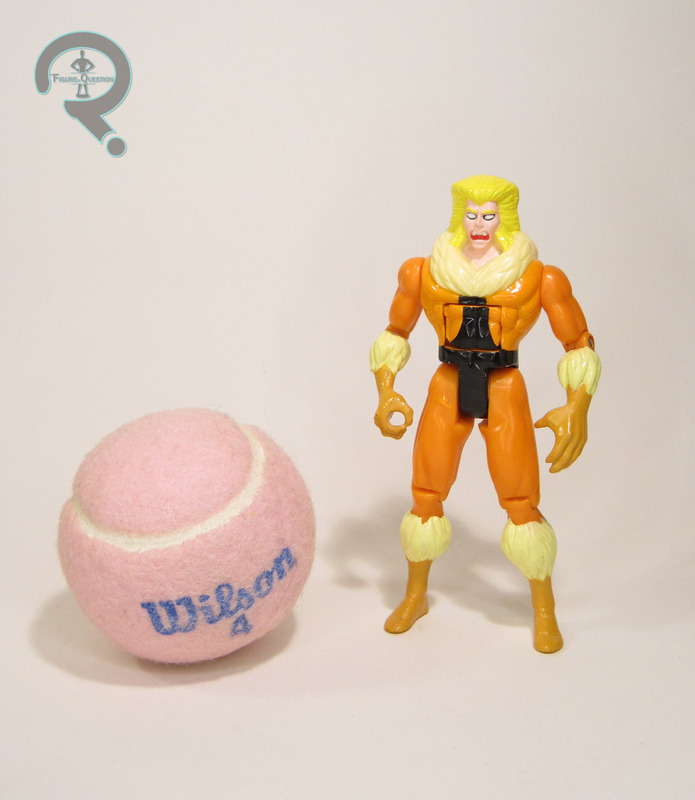 Toy Biz definitely made a lot of missteps on this one. He’s a reminder that, as great as some of those figures were, Toy Biz’s Legends had some real stinkers. Also, behold the start of the trend of crappy Red Skull Legends that perpetuates to this day.